When states are classified as restrictive or permissive with regard to grandparents' rights, California is usually listed as permissive, although it is difficult to file for visitation of grandchildren living in an intact family. Grandparents cannot file for visitation rights while the child's parents are married unless specific conditions are met. These conditions include the following: the parents are living separately, a parent's whereabouts are unknown for a month or more, the child has been adopted by a stepparent or the child does not live with either parent. In addition, a grandparent may petition for rights if joined in that petition by one of the parents. Other conditions under which a suit may be considered include cases in which one parent is deceased and cases in which the parents are unmarried, although winning a suit when the parents are unmarried is far from guaranteed. Visitation rights are based on a pre-existing relationship that has "engendered a bond." The court is also directed to balance the best interests of the child with the parents' rights and their authority to make decisions about the child. See the California statutes about grandparent visitation ​or learn more from a California government website. In the 2000 case of Troxel v. Granville in 2000, the U.S. Supreme Court found that a Washington State statute allowing for third-person visitation was unconstitutional. The statute, according to the court, was "breathtakingly broad" and did not give parental decisions about visitation sufficient weight. Following that decision, the constitutionality of other states statutes' was in doubt. In California, however, the courts weighed in almost immediately. In the 2000 case of Lopez v. Martinez, a court of appeal declared the California statute constitutional, citing its limits on grandparent visitation. The California law, the court averred, strikes "a balance between the child's interest in the grandparental relationship and the right of the parents to rear their own child as they see fit." The 2003 case of Fenn v. Sherriff addressed two crucial issues. First, do parents have to be shown to be unfit before their decisions can be challenged? Second, does visitation have to be completely cut off before grandparents can file a suit? In regard to the first issue, the father argued that the grandparents should have to prove that he and his second wife, who had adopted the kids, were unfit parents in order to win visitation. The court of appeal's ruling was that nothing in the Troxel case suggested that "a fit parent's decisions are immune from judicial review." In regard to the second issue, the court found that the contact that had been offered to the grandparents was not "meaningful." The father had offered the grandparents some visitation, but the court found that the briefness and infrequency of the visitation offered, along with other onerous stipulations, kept it from satisfying the grandparents. Fenn v. Sherriff was important to advocates of grandparents' rights because it affirmed that the state could decide in favor of grandparents under certain conditions. Another issue was addressed in the 2011 case of Hoag v. Diedjomahor. Following the death of her daughter, a maternal grandmother sought guardianship of her granddaughters, saying that she had been like a "third parent" to them. The court refused to take the children away from their father, who subsequently denied the grandmother visitation out of spite. He admitted that he resented the grandmother's efforts to gain control over his children. The court found in favor of the grandmother, stating that a parent cannot use the denial of visitation as "Big Bertha" to wage a "personal war with the grandparent." In 2007 the California laws were amended so that grandparents do not lose their rights if a stepparent adopts their grandchild. This change was largely due to the efforts of a California grandmother, Susan Hoffman, who wrote about the experience in Grand Wishes. The new provision was challenged in 2014 in the case of Finberg v. Manset. The first judge to hear the case found for the parents, saying that the law unfairly discriminates between natural parents and adoptive parents. On appeal, however, the court found that the law is constitutional, noting that children who have been through family upheavals may need the stability of continuing relationships with grandparents. Do I Have the Right to See My Grandchild in Oklahoma? What Are Grandparents' Rights in New Jersey? What Rights Do Grandparents Have in Kentucky? What Rights Do Grandparents Have in West Virginia? What Visitation Rights Do Grandparents Have in Ohio? What Are Grandparents' Rights in Montana? 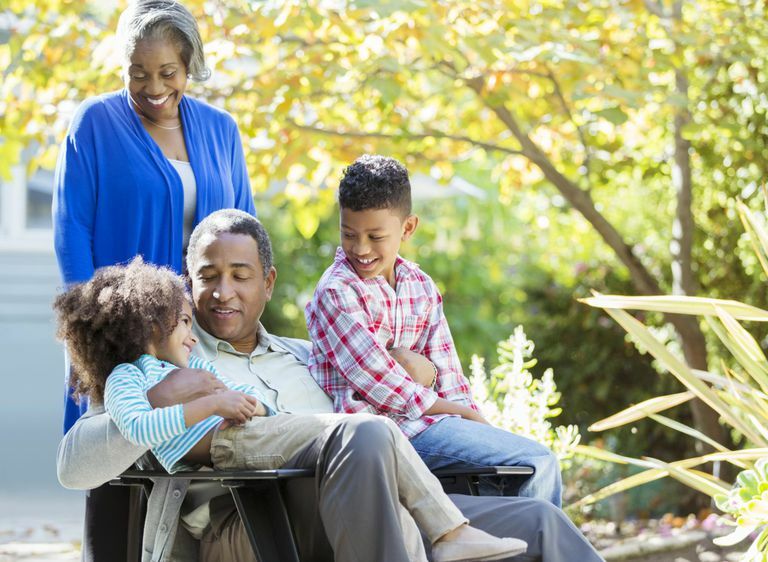 What Rights Do Grandparents Have in Rhode Island?